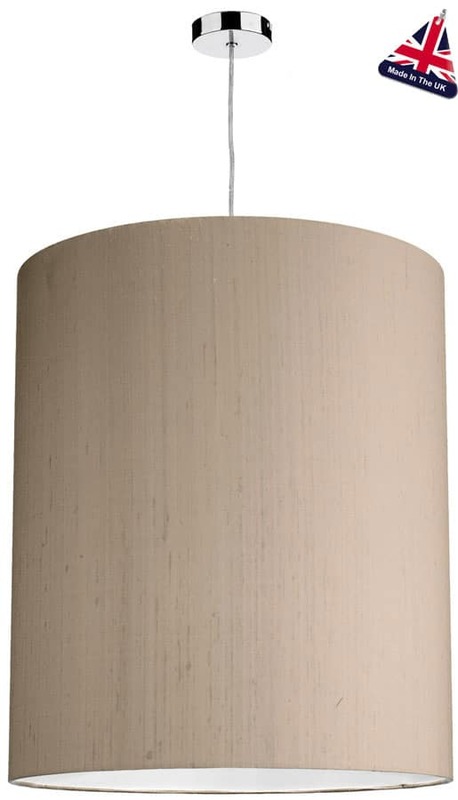 A modern cylinder shaped pendant lamp shade, hand made in the UK from 100% silk. 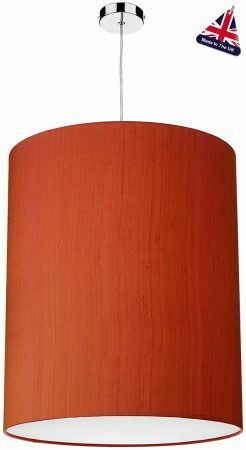 This 50cm diameter, easy fit shade is supplied with an ES – E27 gimbal and BC – B22 reducer to fit 29mm and 42mm lampholders. Simply fit to your existing lamp-holder, no electrical work required. The main image shows the shade mounted to the SP65 chrome and clear flex pendant lamp-holder that is available as an option, please see below or follow this link. The Cylinder ceiling lamp shade is made in Britain in a variety of colours. Shown in the main image in firefly orange, with a white laminated inner. 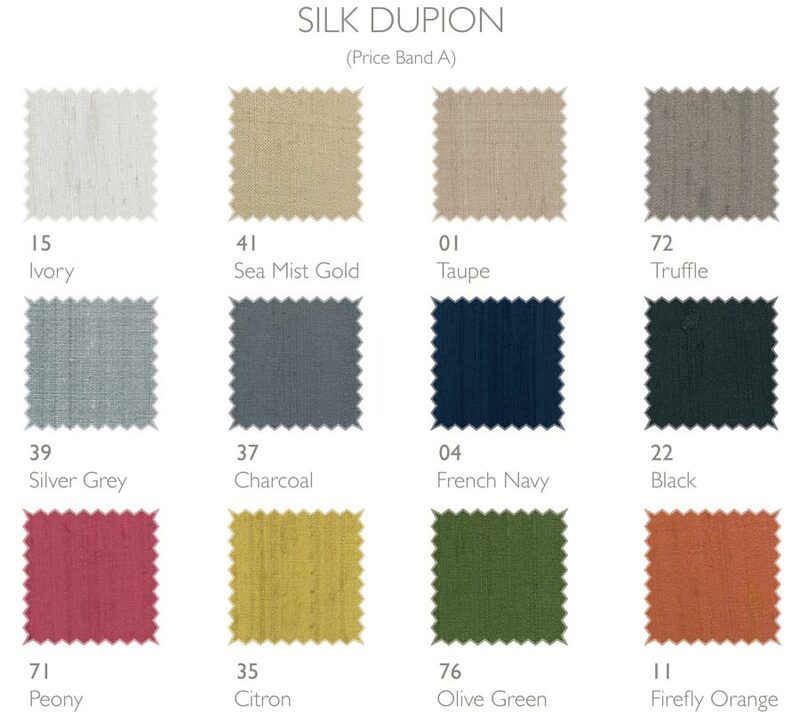 Please see an additional image of the colour swatch and contact us with your colour preference or state your colour in the special instructions box at checkout. Made to order, please allow 2 – 4 weeks for your shade to be handmade and delivered.